$20 Off $60 of Star Wars OR Star Trek merchandise from ThinkGeek! There is an all out space war! Get $20 Off $60 on Star Wars OR Star Trek items! If you chooseStar Wars items use the code WARSFTW. If you choose Star Trek items use the codeTREKFTW.This promo ended EOD July 13th. Free 8-bit flower bouquet with any ThinkGeek purchase $40+! 20%+ discount code! 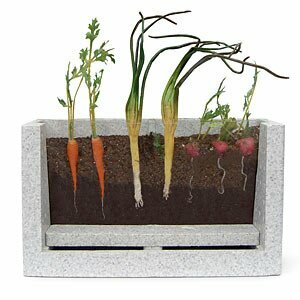 Show your kids how plants grow with this Root Vue Farm! Whether you’re homeschooling, getting ready to plant your first family garden this spring, want to show your kids how plants grow, or just want a cool piece of decor for your home…This is awesome! Plant and watch the entire cycle! -Multiple Award Winner, including Dr. Toy and Oppenheim Gold!